WEDNESDAY, Jan. 9, 2019 (HealthDay News) — Newly diagnosed cancer patients may be at increased risk for the painful skin condition shingles, a new study finds. The study, of about 240,000 cancer patients in Australia from 2006 to 2015, found that any type of cancer was associated with a 40 percent increased risk of developing shingles, compared with not having cancer. Patients with a blood-related cancer had the greatest shingles risk — more than three times that of people without cancer, according to the recent study in the Journal of Infectious Diseases. And those with a solid tumor — such as cancer in the lung, breast, prostate or other organ — had a 30 percent higher risk of shingles than people without cancer, study first author Jiahui Qian and colleagues said in a journal news release. Qian is with the University of New South Wales in Sydney, Australia. The higher shingles risk among blood cancer patients was present in the two years before their cancer diagnosis. 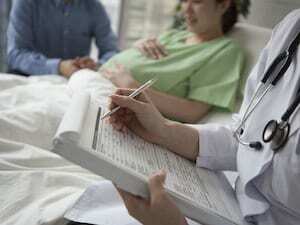 But among patients with solid tumors, the greater risk was largely associated with receiving chemotherapy treatment, rather than with the cancer itself, the researchers said. Shingles (herpes zoster), marked by painful rashes and skin blisters, is caused by the varicella zoster virus, the same virus that causes chickenpox. The virus remains dormant in the body, but causes shingles if it reactivates later in life. “These findings have important implications in view of recent advances in development of zoster vaccines,” wrote Kosuke Kawai, of Harvard Medical School, and Dr. Barbara Yawn, of the University of Minnesota, in a commentary accompanying the study. A shingles vaccine approved for U.S. use in 2017 does not use a live form of the virus and may be safe for people with weakened immune systems, including those receiving chemotherapy, the commentary authors said. However, due to a lack of data, this vaccine is not yet recommended for use in that group of patients. 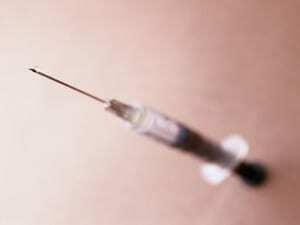 Also in development is a shingles vaccine that uses an inactivated form of the virus. These advances suggest that vaccines show promise as a way to prevent shingles and its complications in cancer patients, according to the researchers and commentary authors. Nearly one-third of Americans people in the United States will develop shingles, and about 1 million cases occur in the country each year, the U.S. Centers for Disease Control and Prevention says. The U.S. National Institute of Neurological Disorders and Stroke has more on shingles.